In 2010, U.S. Environmental Protection Agency (EPA) issued proposed rules that would cut U.S. mercury emissions by more than half and would significantly cut other pollutants from boilers, process heaters and solid waste incinerators. Under the proposed rule, facilities with boilers would also be required to conduct energy audits to find cost effective ways to reduce fuel use and emissions. Smaller facilities, such as schools, with some of the smallest boilers, would not be included in these requirements, but they would be required to perform tune-ups every two years. Identify gaps and cracks in a building’s envelope where heat is escaping (winter) or infiltrating (summer). Identify areas in the building envelope where insulation is missing or inadequate. Identify which electric devices (such as motors) are running hot and are in need of maintenance. Identify whether steam traps are operating inefficiently and are in need of maintenance. 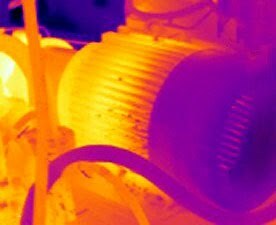 Identify areas where piping insulation (hot water, steam or refrigerant) has deteriorated. 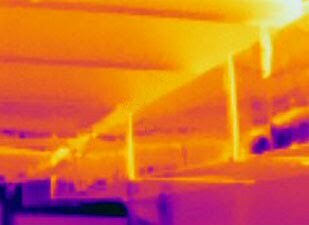 Caltha LLP provides specialized expertise to clients nationwide to conduct thermal camera / infrared camera assessments of buildings, systems, and equipment and conduct energy audits for commercial, industrial & institutional buildings.